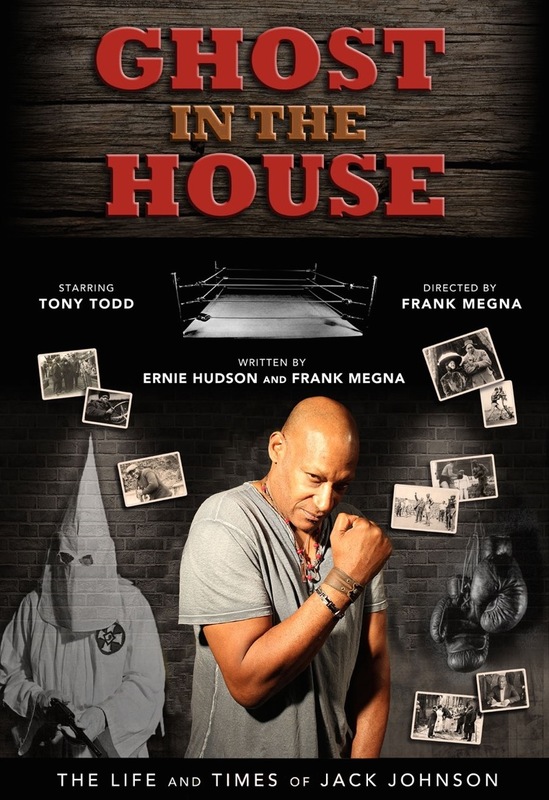 Opening Minds Productions is proud to announce that Tony Todd (well known from the Candyman films) will star in Ghost in the House the new play about the life and times of the first African-American Heavyweight Boxing Champion Jack Johnson. The one-man show recounts the racism and vindictiveness of White America against a man whose talents went way beyond the ring. Johnson was a musician, raconteur, entertainer, horse jockey, bullfighter, inventor, race car driver and secret agent during World War I. He was an infamous Lothario who flaunted his flashy lifestyle in the face of contemporary mores. Jack Johnson was the catalyst for celebrations, condemnations, deadly riots and outrage from all sides of the racial divide. He was also the most famous Black man in the world—and one of the most misunderstood. Ghost in the House is written by Ernie Hudson and Frank Megna and directed by Megna. The show will be offered to both amateur and professional theater organizations as a packaged, multi-media production. During its initial run, cultural and educational institutions will be given priority with a New York production as the ultimate goal.